These lists are updated from time to time. Recently added items will be highlighted in RED. 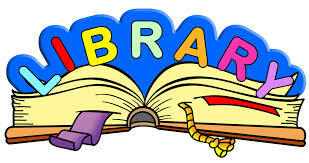 If you are looking for a particular book you don't see, please ask one of our librarians. Looking to get inspired??? Check out the new selections in the BVQ Library - they are highlighted in RED. Thanks to BVQ member Debra Finan for many of these great titles! Check them OUT! Our Guild is fortunate to have a library of over 300 books available for its members. Although occasionally we make acquisitions using Guild funds, we typically receive donations from our speakers and various publishing companies, and we welcome donations from BVQ members as well! If our speakers have published a recent book, we will obtain a copy for the BVQ library. So if you didn’t purchase a personal copy, you can still check it out! We will be happy to put your name on a waiting list if the book is currently out. The Library cart is accessible at most Guild meetings. (When we meet at a location other than our normal meeting place, the Library is not available and no late fee is assessed for books due.) From time to time, donations of magazines, videos or patterns are available for sale at Guild meetings in the Library area, for a nominal price. Mary Dulik or Tammy Krause or see them at a meeting. If you know you will not be at a meeting the following month when you are due to return a book, please let Mary or Tammy know. Thank for your cooperation! The library materials are organized by category. The categories are listed below and on the end of the Library cart. We also have a great selection of fiction titles from Jennifer Chiaverini (the Elm Creek Quilters series), Earlene Fowler (Benni Harper mysteries), and many more!